Developed in house with years of healthcare expertise, our Gompels Super Absorbent Underpad creates a comfortable and homely feel to your resident bedrooms. Providing economical value for money, they consist of a waterproof back sheet to minimise leaks through to bed linen, a soft polythene back for a cotton-like feeling on skin and a fluff pulp that absorbs liquids in seconds. Folded edges prevent further risk of leak while the high absorbency levels of 850ml ensure your residents will say comfortable between changes. Each underpad can also be used to protect surfaces during medical procedures and are intended for single, disposable use. 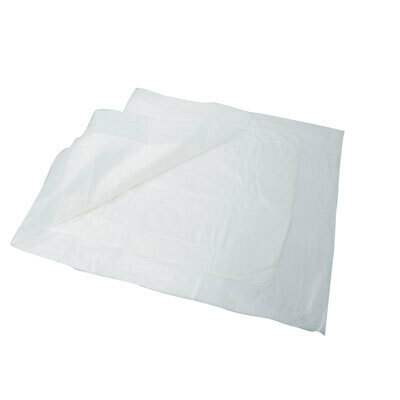 Our Everyday underpads comes in two alternative sizes; a 60cm x 60cm or a 60cm x 90cm allowing you to select the perfect option for your requirements.We also stock Disposable Draw Sheets for the most hygienic sleep within your care home.